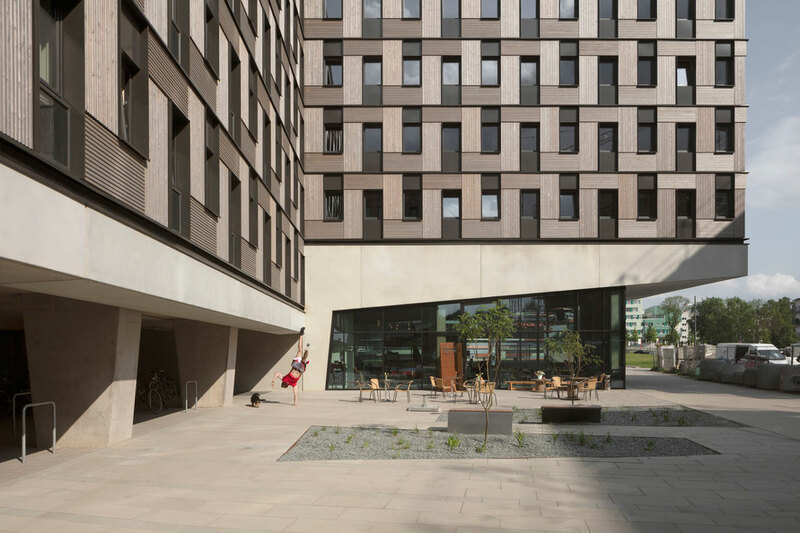 Currently the world’s largest residential building in modular timber construction, “Woodie” offers micro-appartments for 371 students. 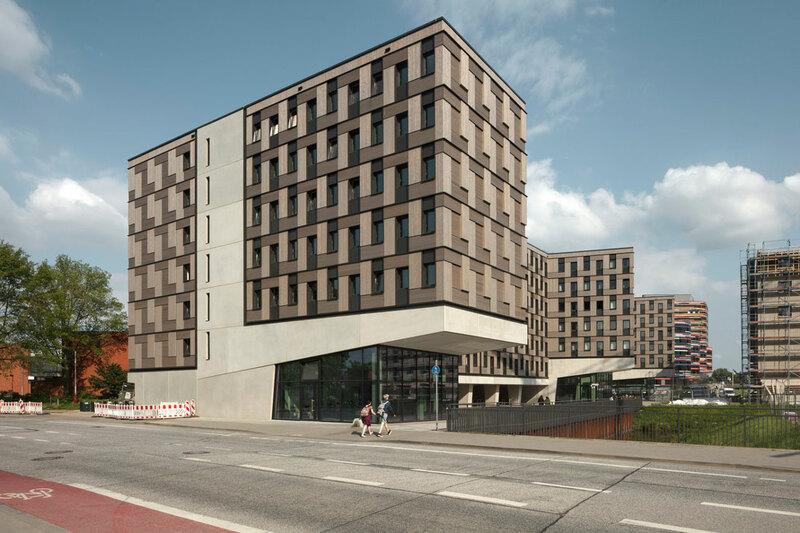 The building is part of a new residential district in the Wilhelmsburg area of Hamburg, which builds on the experimental character of the 2013 International Building Exhibition and embodies the principles of universal design: sustainable, simple and inclusive. 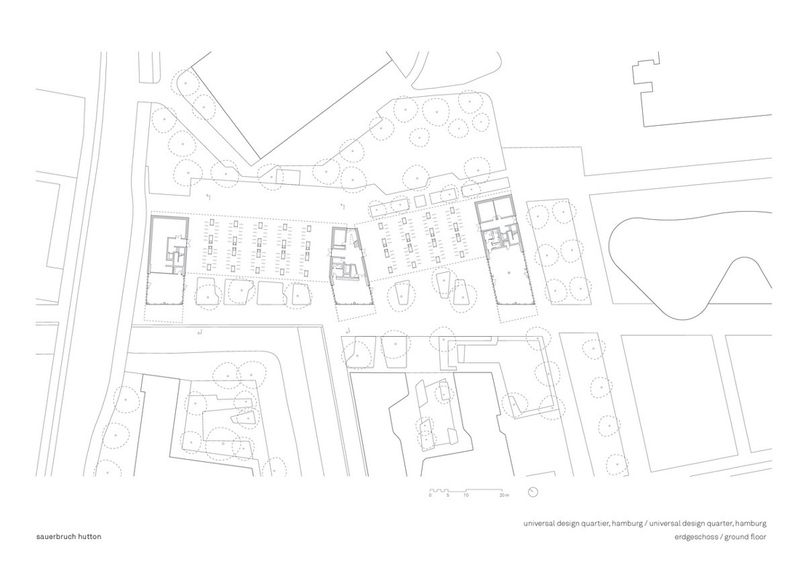 Alternating bays and projections articulate this long building so that it fits in with the smaller scale of its surroundings. Its form also continues the rhythm of the neighbouring State Ministry of Urban Development and Housing along a busy route for cyclists and pedestrians. 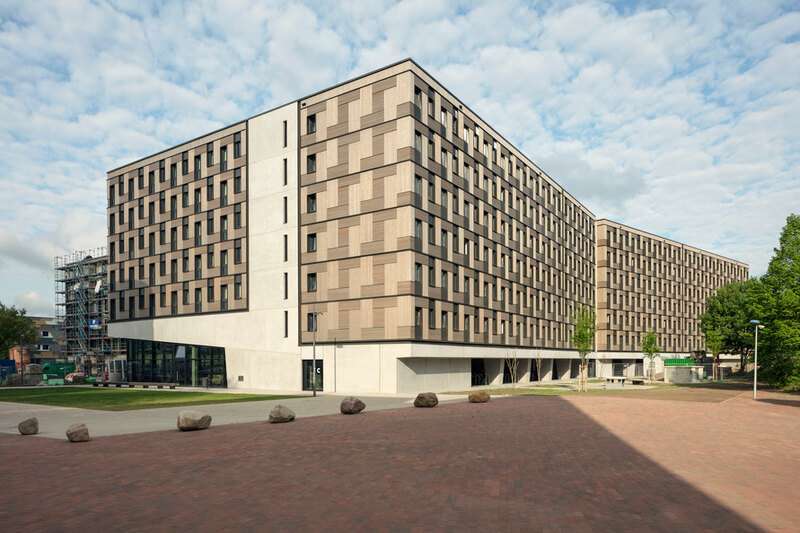 The purpose and the functional layout of the student residence hall are clearly expressed on its exterior. The ground floor structure and the three service cores are in conventional reinforced concrete construction with an additional outer shell of exposed concrete. 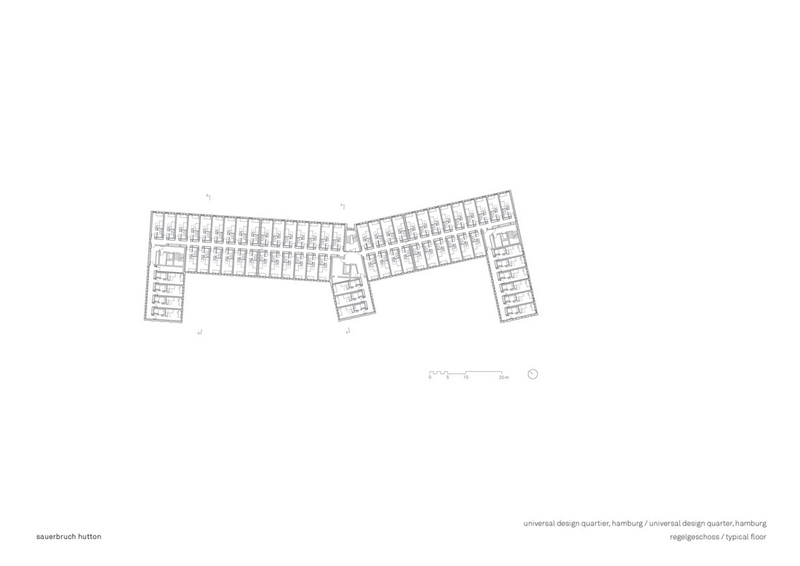 Simply put, the ground floor structure is a kind of concrete table, on which the 371 residential modules are stacked for five or six floors. 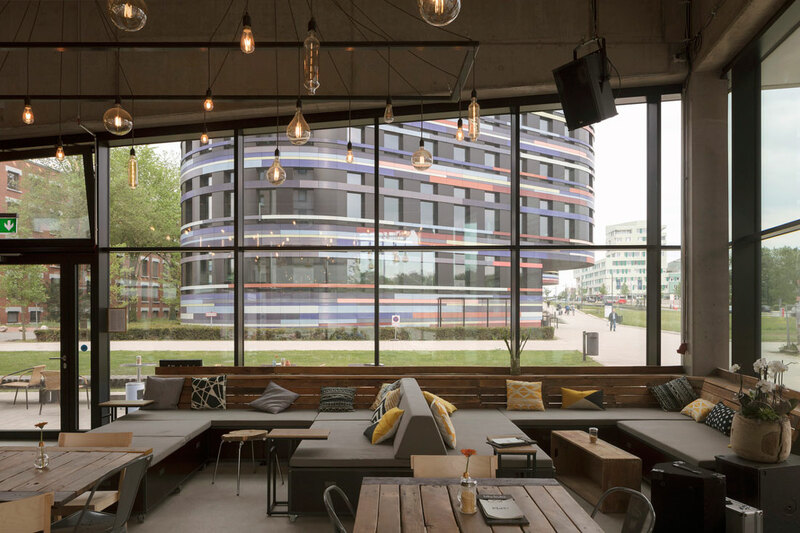 Below the cantilevered tabletop at the cores, there are spaces for communal use and gastronomy, which have full-height glazing. 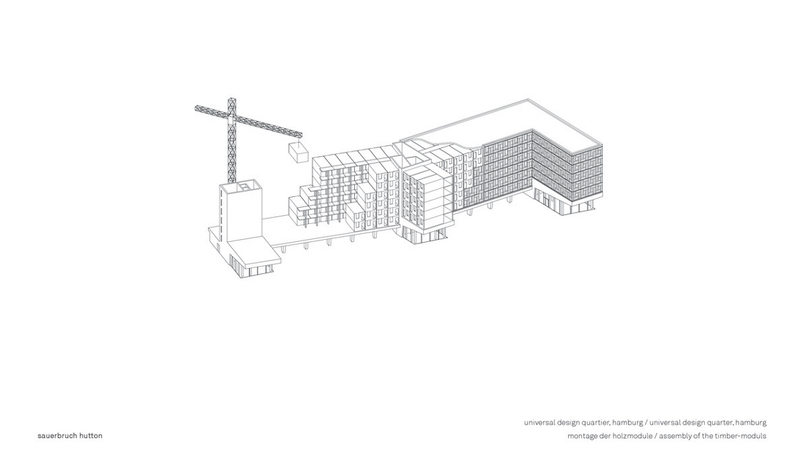 The open-air ground floor space between the cores not only makes the building permeable within the city’s built fabric but also provides covered parking for some 400 bicycles. 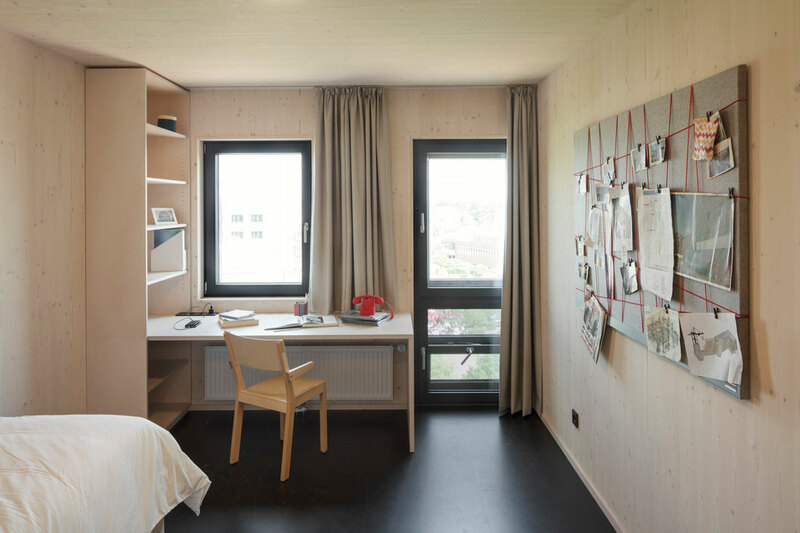 The apartments each have a floor area of 20 m² and they are completely prefabricated from solid wood, including their fixtures. With the exception of the natural rubber floor covering, the wood has been left visible on every surface. This contributes to a comfortable and healthy indoor climate for the residents. The rear-ventilated façade cladding is made of greyed larch wood in prefabricated panels. 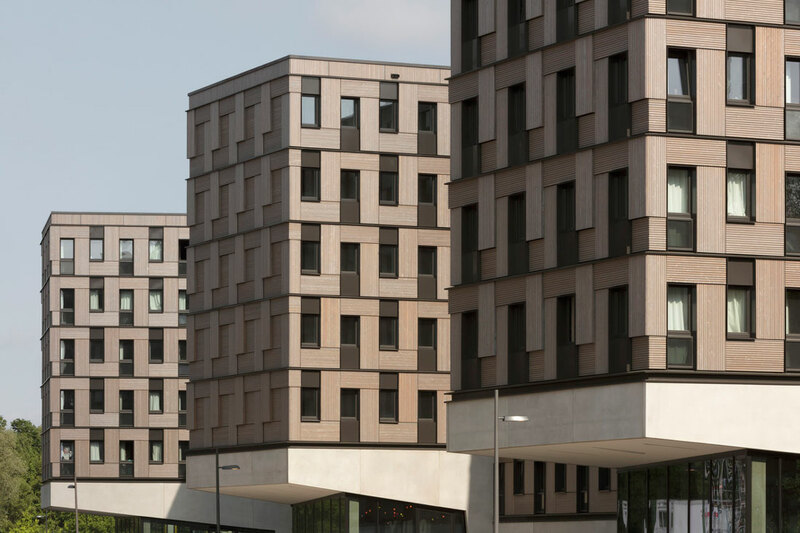 The exemptions granted in the fire protection certificate (for producing the load-bearing walls, ceilings and façades in wood) set a precedent in Hamburg that opened the way for a change in the state’s building regulations: since November 2016 the city has allowed buildings of up to 22 metres in height to be built of timber.